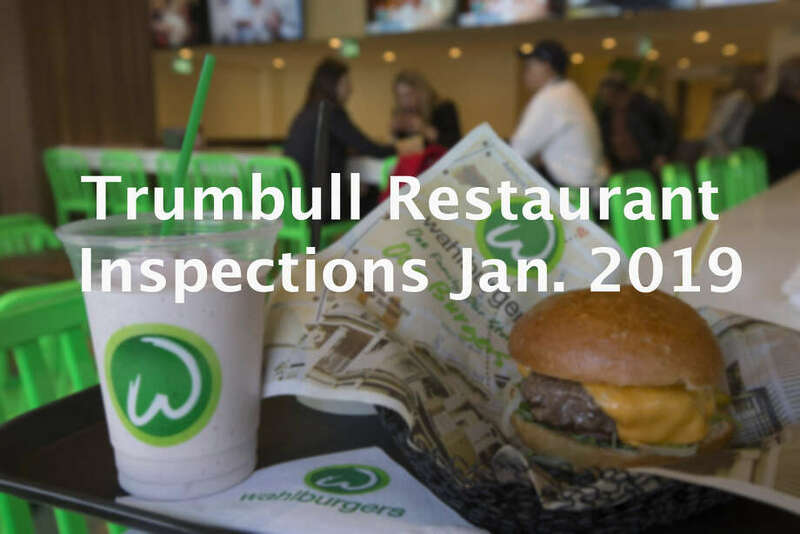 TRUMBULL — Have you ever wondered, right before tucking into a steak or burger at a local restaurant, what the conditions were like in the kitchen? In the last few months, the kitchen likely received an unannounced visit from a Trumbull Health Department professional inspector who conducts a thorough examination and grades everything from cleanliness and food storage conditions to the temperature of the dishwashing water and the condition of the paper towel dispensers in the bathrooms. Health inspectors visit restaurants quarterly, and grade them on a 100-point scale. A kitchen fails an inspection if it receives a score under 80 or is given a four-point violation for what are considered critical issues. Inspectors issue four-point deductions for violations such as improper food-holding temperatures, damaged food cans and inadequate handwashing facilities. Lesser violations can include leaving scoops in the ice machine, missing or inaccurate food thermometers and uncovered trash cans. Restaurants that receive four-point violations can be required to correct them on the spot. For the most severe violations, the restaurant can have its license revoked and be shut down. “It’s important to remember that these results are a snapshot of a single moment in time, the conditions that existed for the hour or so that the inspector was there in a three-month period,” Health Director Rhonda Capuano said. In January, the health department conducted 32 inspections, and issued scores as low as 83 to a perfect 100. Six restaurants received at least one four-point violation to fail their inspection. All of the four-point violations were for holding ready-to-eat food at improper temperatures. Hot food is required to be served above 135 degrees. Cold food should be under 41 degrees. Inspector Shaquaisha Andrews said such violations typically occurred at places with condiment stations or where employees scooped food from holding trays onto plates and were normally correctable by adjusting equipment settings or instructing employees to replace the tray covers after removing food. Hot food found below 135 degrees can sometimes be rewarmed to 165 degrees and served depending on how long it has been held at the lower temperature. Mici Asian Bistro (Score: 83) — Cold food held at 44 degrees, corrected during inspector visit. Wahlburgers (85) — Cold food holding temperature too high in reach-in cooler, food was discarded and staff instructed not to use cooler until temperature control is corrected and checked by health department; inspector also noted employee shoes on food storage shelf, and they were removed. Sarku Japan (90) — Hot food holding temperature too low but within allowable window to be rewarmed, food was discarded as a precaution and manager agreed to replace food-holding equipment during inspector visit. Romanacci (91) — Hot food holding temperature too low but within allowable window to be rewarmed, temperature corrected during inspector visit. St Joseph’s Manor (91) — Cold food holding temperature too high, corrected during inspector visit. McDonald’s on Hawley Lane (94) — Cold food held at 44 degrees, temperature was corrected during inspector visit.